The prices of new SUVs continue to rise. With all the new technology, features, and cost that go into building new models, the average cost of an SUV is well over $30,000. Fortunately, buyers in the market for a good-quality used SUV have quite a few more affordable choices. Some of the models released six or seven years ago have held their value quite well and still stand-up against new models. Below are three SUVs under $15,000 to consider. For 2006, the CR-V had undergone numerous interior design changes and incorporated many of the most recent technology advancements. The result was a model that sold very well and was Motor Trend’s 2006 SUV of the Year. The 2006 Honda CR-V was not made available with the larger 6-cylinder engine, but that is good news for those wanting to save gas money. The model achieves about 27- mpg on the highway, and the 156 horsepower produced by the 2.4L engine has enough pull to keep the model moving briskly. The yearly depreciation on the 2006 CR-V is about $1,000, which is quite good. Shoppers should be able to find this model for sale in good-to-excellent condition for around $10K for the base model and $12K for the up-level EX. This model has always been a favorite of SUV enthusiasts who enjoy the car-like handling of a smaller model while still offering utility. The 2006 RAV4 was engineered to provide one of the most sedan-like handling experiences in the entire SUV segment, and the model has certainly lived up to expectations. The standard engine is a 2.4L, 166-horsepower unit, but the up-level versions can be had with a larger V-6 that produces a total of 269 horsepower. The model is available in either 2WD and 4WD, with the latter designed to send most of the torque to the rear wheels when the vehicle is experiencing a loss of traction. Automatic transmission is standard, with the 2WD equipped with a 4-speed and the V-6 equipped with a 5-speed. Although the interior is small in comparison to some of the giant crossover models now available, the cabin is designed to seem roomier than it really is. The RAV4 has one of the largest interior of any compact crossover. The overall build is sturdier and more reliable than what is seen in most competing models, and this is one of the major reasons the vehicle has retained its value well. Cruise control, tilt/telescopic steering wheel, air conditioning, and CD player with MP3 capability is standard on the base model. The up-level Sport trim features 18-inch wheels, a sport-tuned suspension, and well-designed roof rails. The Limited trim comes with alloy wheels, a power driver seat, and an optional moonroof. The MDX has never really stood out among luxury SUV models, but it has always included a long list of standard features. The 2006 model was available in both a Base and Touring trim, and over the past seven years this model has retained its resale value quite well. Both trims come with a 3.5L engine that produces a total of 253 horsepower. 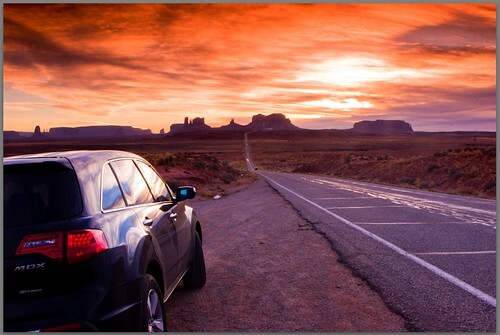 Although the fuel economy is less than average – about 21 mpg highway – in comparison to new models, the engine and powertrain have proven their lasting worth, with most customers reporting minimal maintenance over the years. A used MDX is a good choice looking for those The roomy interior seats seven passengers comfortably, with less cramping experienced by third-row passengers than what is seen with most other full-size models. 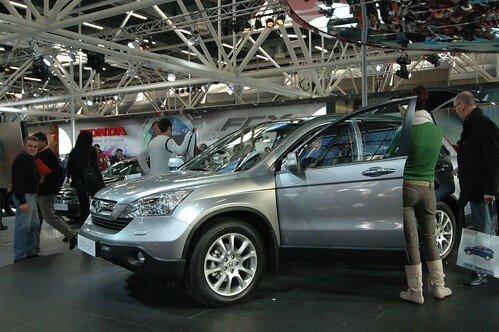 The cargo area is huge, the crash test ratings are exceptional, and the overall construction is very sturdy. Used car shoppers can expect a private party value of around $14,000 for the 2006 Acura MDX, but with a little online browsing, a better deal is sure to be found. To check inventory and learn more about available used models, check out this Arlington car dealer website. 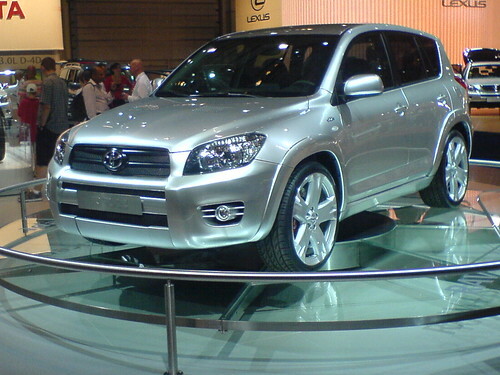 And if your budget allows for a new model, read our article on the all-new 2013 Toyota RAV4. Just keep in mind that you could likely purchase two of the above models for the cost of a new RAV4.